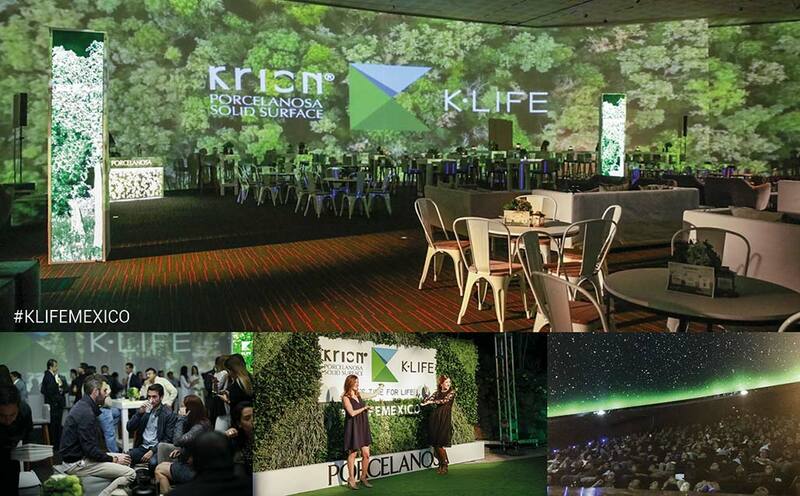 Last October 26th, Porcelanosa Mexico premiered its latest new material KRION® K-Life, with parallel presentations in Fulham, Miami and Bordeaux. This travelling event, with a strong emphasis on the senses, was held at the emblematic Papalote Children’s Museum in Mexico City, with more than 600 guests. In this exclusive event, architects, designers, journalists from trade magazines and well-known personalities from different sectors were introduced to the secret to improve the quality of life of the society and the new properties of KRION® K-Life, through an interactive experience presented at the digital dome inside the Museum and later they enjoyed a splendid cocktail.